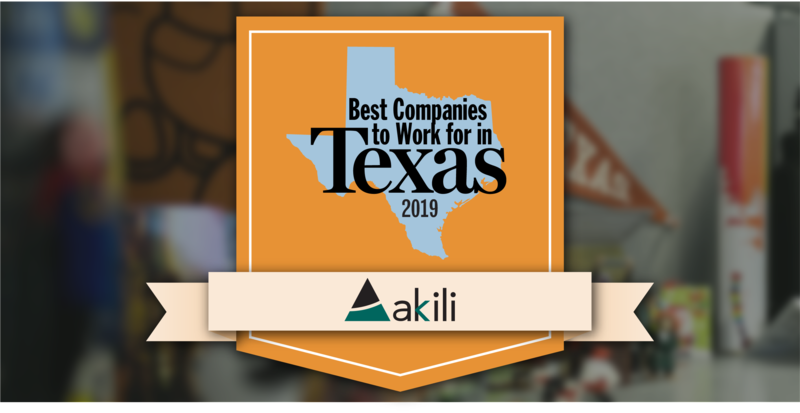 Akili was named one of the 2019 Best Companies to Work for in Texas. Known for their expertise in implementing Enterprise Performance Management solutions, this is their fifth time receiving this award. The awards program is a project of Texas Monthly magazine, the Texas Association of Business (TAB), the Texas State Council of the Society for Human Resource Management (TSC-SHRM) and Best Companies Group. Made up of 100 companies, the 2019 Best Companies to Work for in Texas was designed to identify, recognize, and honor the best places of employment in Texas, benefiting the state’s economy, workforce and business. Companies from across the great state entered the two-part process to determine the Best Companies to Work for in Texas. The first part of the process represents 25 percent of the total evaluation and measures each company’s workplace policies, practices and demographics. Counting for 75 percent of the overall evaluation is the most crucial and telling, the employee survey. This survey consists of a series of questions that measure the employee experience and satisfaction. The combined scores determined the top companies and the final ranking. Akili was recognized and honored at the Best Companies to Work for in Texas awards ceremony as part of the Texas Association of Business Annual Conference in Austin, Texas. The rankings (Akili came in at 17th) will also be released in a special advertising section of Texas Monthly. Akili fosters a strong culture of investing in employees and developing an environment that values them as individuals, provides the support of a team and enables employees to pursue their career goals without restraint. 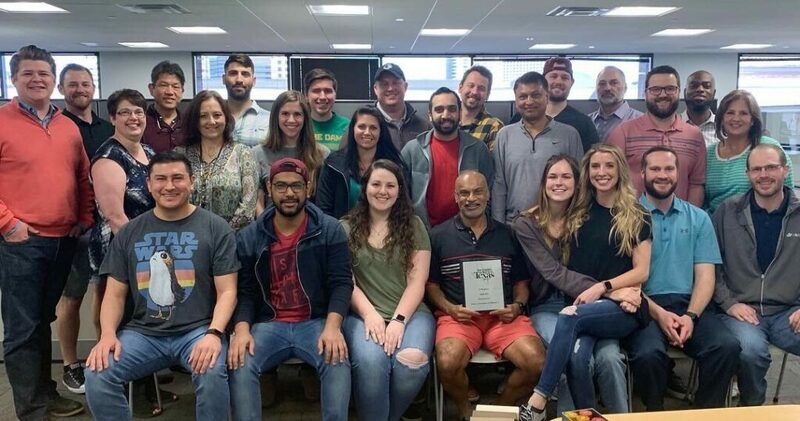 Akili’s vision is to create a work environment that gives employees the opportunity, encouragement, and recognition they need to truly excel at what they do.